Not my vid, but this is the song. It used to be rated 37, but they bumped it up to 38 in Adventure, then 39 in Party. HST, is that your play? 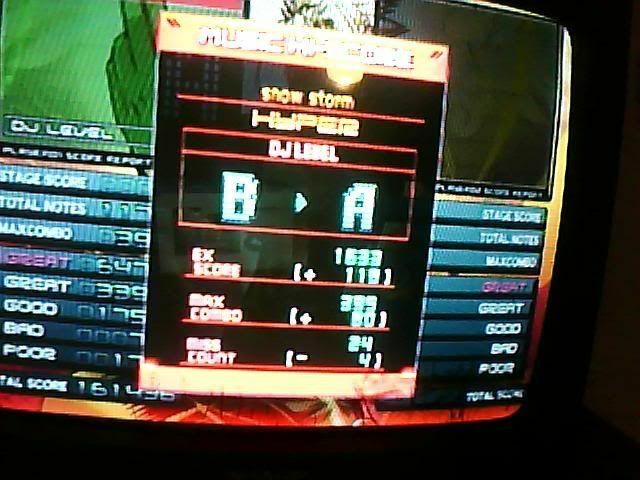 managed to pass a 4 on iidx. whoop dee doo. Oh man, so close to the AA! Are you gonna go for it? You bet I am. I'm also aiming to AA Mei[a] by the end of December (or at the very latest, before my Spring Semester of classes starts).